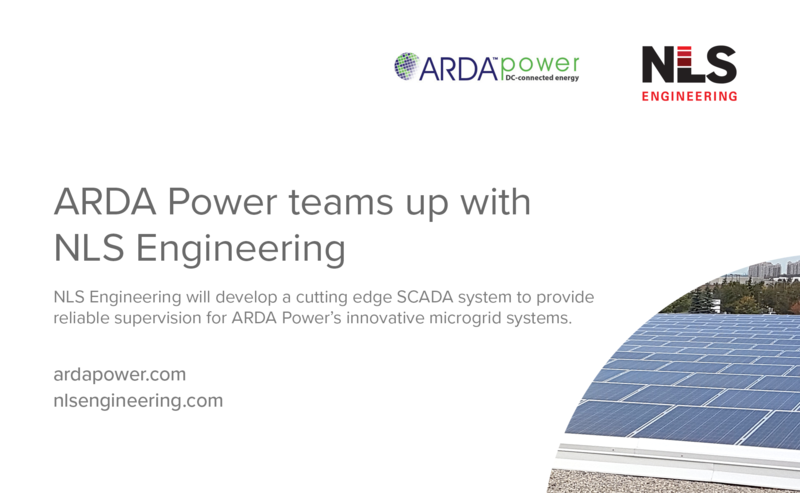 NLS Engineering is excited to announce our collaboration with ARDA Power to provide versatile SCADA solutions for their turn-key microgrid platform. ARDA Power is working to change forever the way the world implements microgrid systems. Their innovative approach to DC-connected energy provides customers with microgrid solutions that are simple, low cost, resilient and versatile. NLS Engineering’s experienced staff will contribute an innovative SCADA implementation to provide consistent, reliable supervision and data acquisition within ARDA Power’s cutting edge microgrid systems. The first implementation will be at ARDA’s Burlington DC Microgrid Project. We look forward to working together to create solutions for a changing market.